WordPress is wonderful and mighty, but if you are new to this platform it can be daunting to know what exactly is what.goodness does it have to use such unfamiliar words? Archives A record of your blog posts, by category or date - often included as an option in your sidebar. Blog or your "web log" - a form of online commentary - like a diary or journal. Blogroll The Blogroll is the pre-set default category for links. The name can be changed, and other link categories can be added. Categories Each blog post is filed under one or more categories, making it easier for your readers to find related content. CMS Content Management System - not what WordPress was created as but it works a treat anyway - a great way to manage our content. Comments Allowing your readers to respond to your blog posts. You can set these to need your approval before showing on your site. Custom Fields Within posts a custom field enables additional information - this can be quite powerful and worth looking into if you find you want more on your blog posts. Dashboard Your WordPress dashboard is the first thing you see after you've logged in. It offers you quick access to the most often used areas of your WordPress administration. Favicon (short for "favourites icon" - ok it's probably for "favorites" but most of us are in the UK here ;-)) is that little image in your browser's tab or in the URL bar, next to the site or page name. Hosting Where your WordPress site lives. HTML Editor For those familiar with HTML coding, you can use the HTML editor area when editing and adding posts and pages. Links There are (usually) external links to other websites that you might like to offer your readers. Menus To make it nice and simple to build your navigation and can include pages, categories, external links and more. MySQL Essential for WordPress, this is your database - where all your information lives - in very basic terms - posts, comments, pages, etc. Pages Very simply, these are your web pages, those more static pages, such as About, Services, Contact, etc. Permalinks These are the permanent web page addresses - the URLs for each page and post. PHP The programming language used and essential for WordPress. Pingbacks Simpler than a trackback, this lets you know when someone has linked to your post or page. Posts Your blog is made up of posts (not pages), and each entry is a post. RSS Really Simple Syndication - or in other words - a way that people can stay updated with your latest content (blog posts, for instance) by email or into a reader of some sort. Sidebar Your sidebar is the narrow column to the side (either or both) of your WordPress site and can include a variety of information, usually added through Widgets. Spam Blog post spam will come in the form of comments - you'll soon be shocked by what people try to add to your site and will need an effective spam filter in place. Tags Tags are similar to categories in that they offer a way to group related posts - perhaps best considered as a form of sub-category. 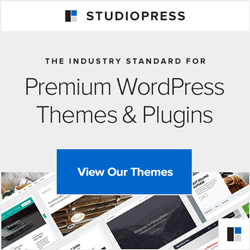 Themes Your WordPress theme is the design, a template, if you prefer, or a "skin". Trackbacks notify you of your page or post having been shared with others usually within an excerpt. Visual Editor Within your post or page you can edit and add content in the Visual Editor area (in which you see pretty much how your content will look). And of course this list will grow and link through to more information as it becomes available. Anything you’d like to see listed here, please email hello@blogmistress.com. Thank you.